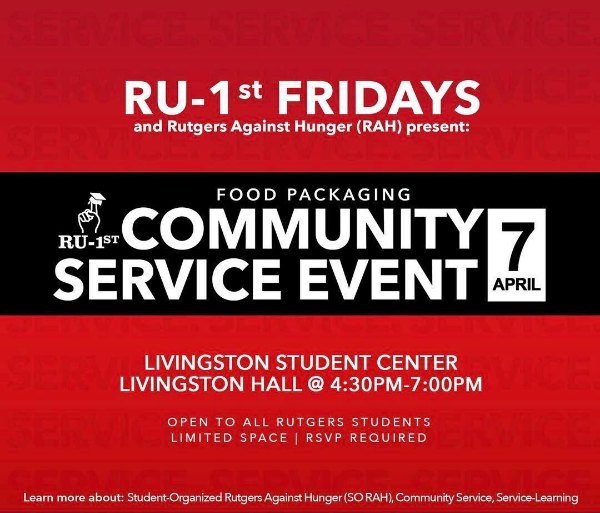 RAH and RU 1st are Hosting a Community Service Event on Friday, April 7th! Join RAH and RU 1st on April 7th for meal packing, food security discussions, and other fun activities. We’ll be creating over 100 meals for local families in need!